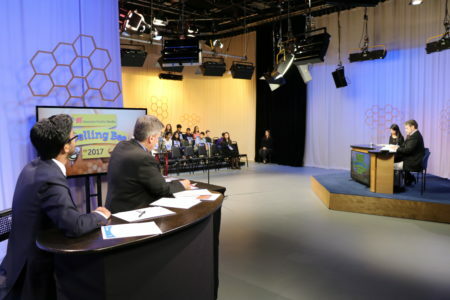 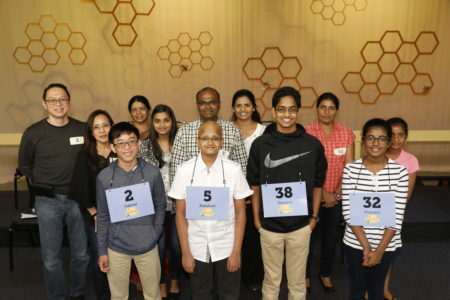 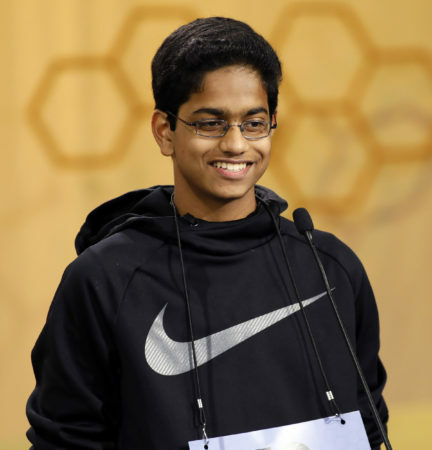 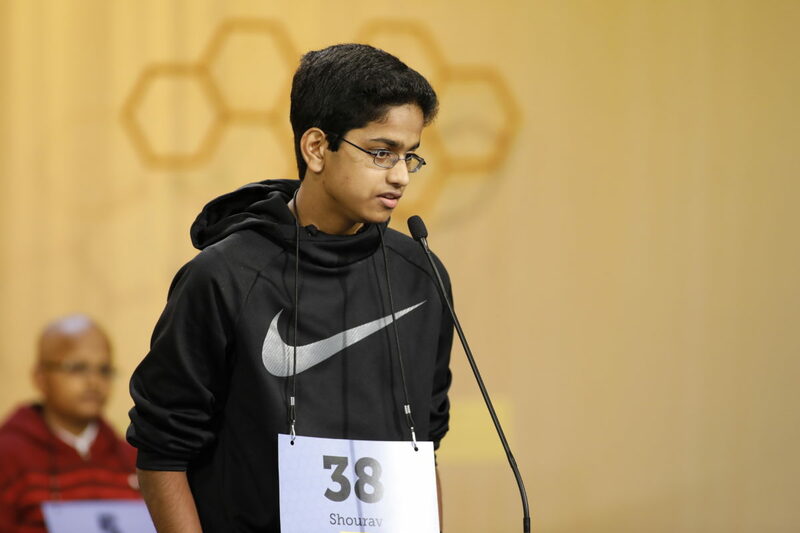 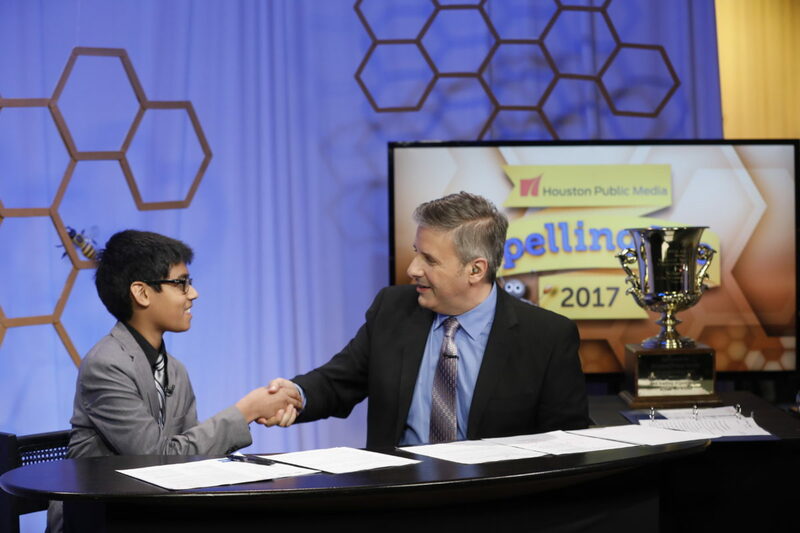 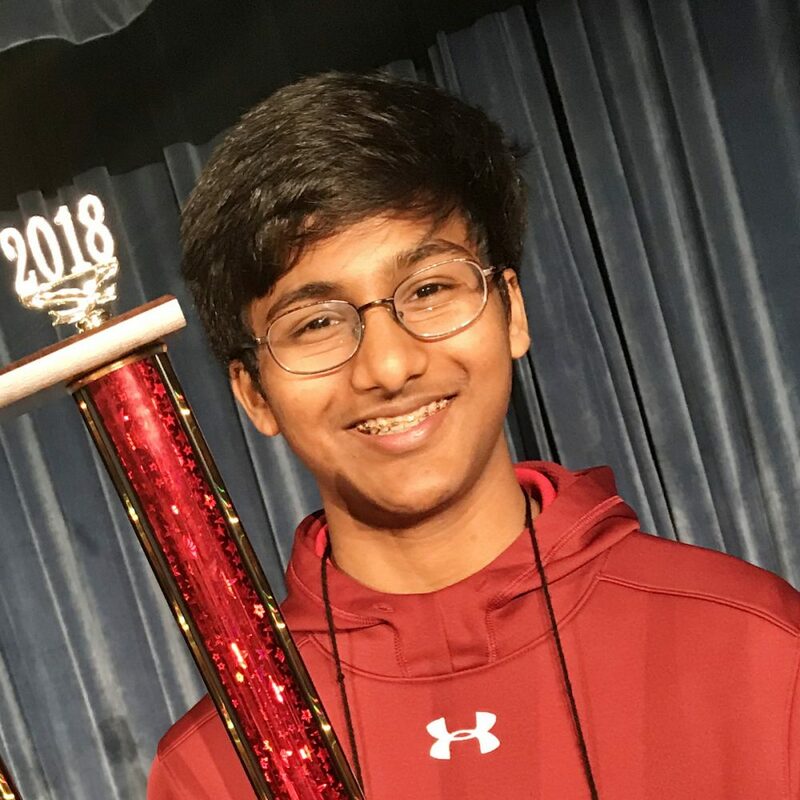 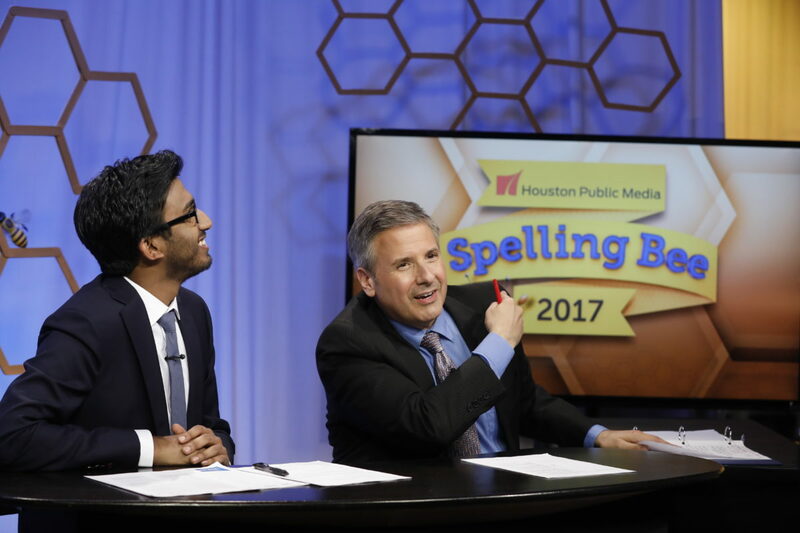 After competing in eight rounds with 51 spellers representing 34 Texas counties, Pranav Chemudupaty, an eighth grader at Nolan Ryan Jr. High in Alvin ISD, emerged as the champion of the 2018 Houston Public Media Spelling Bee. 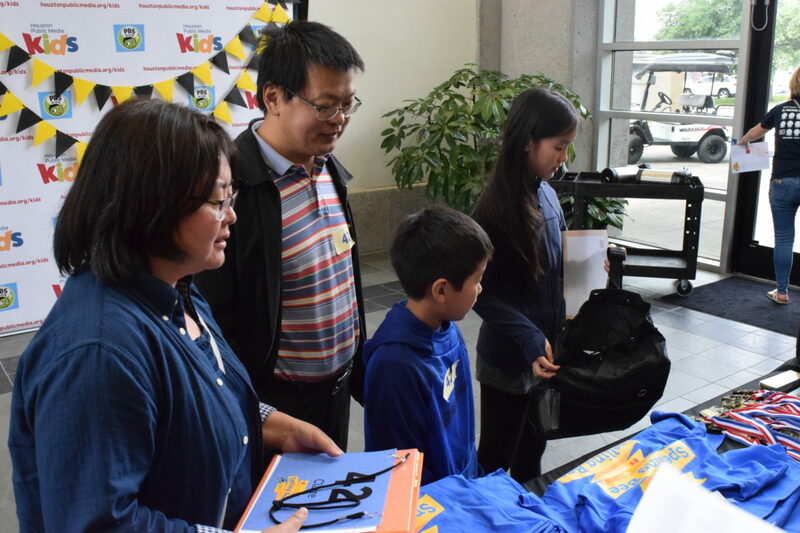 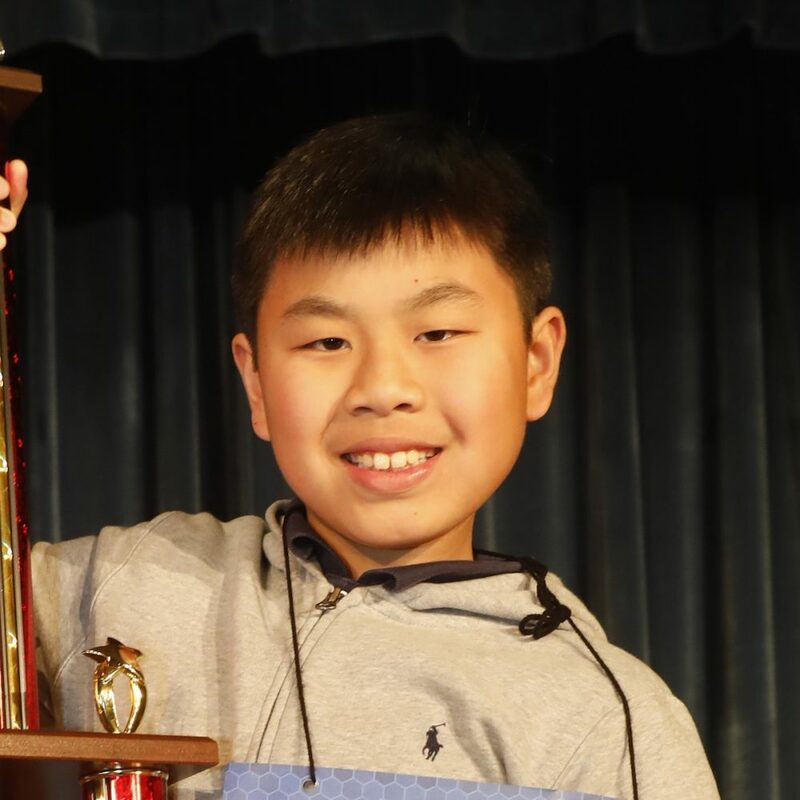 Benjamin Chen, a fifth grader at Sallie Curtis Elementary in Beaumont ISD is the runner-up. 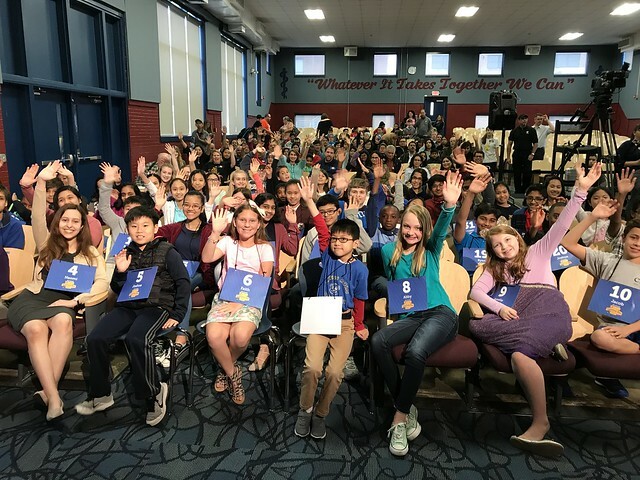 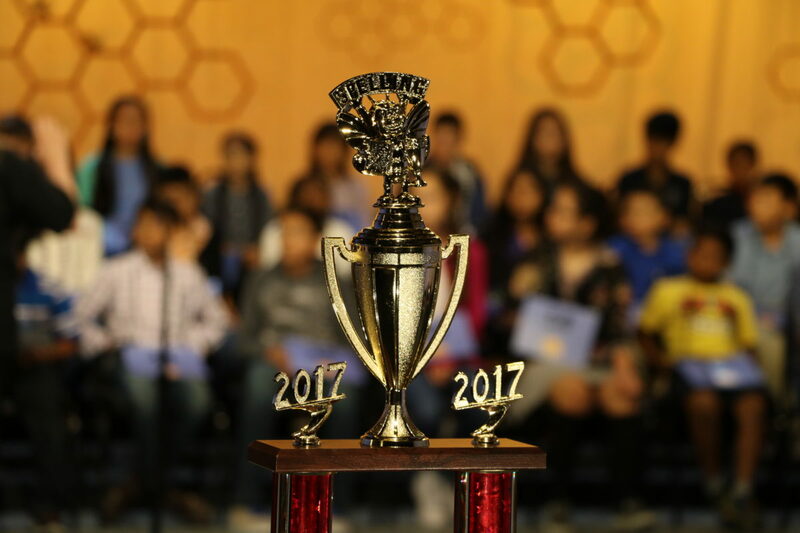 The two spellers will advance to the Scripps National Spelling Bee, the week of May 27 – June 1 in the Washington, D.C. area for “Bee Week”. 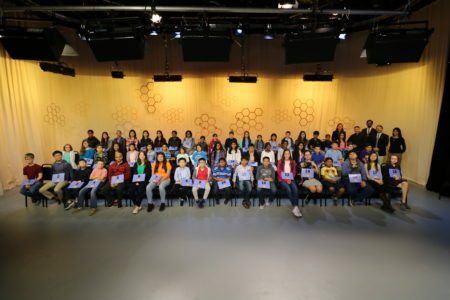 Influential Teacher: Ms. Isidori. She is a no-nonsense person and gets directly to the facts. 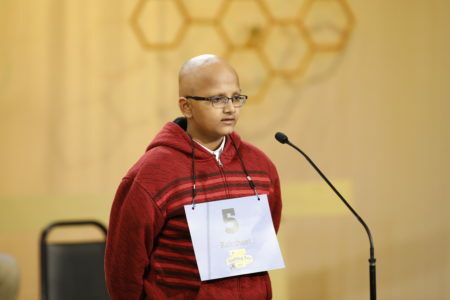 Pranav tied for 5th place in the 2015 Houston Public Media Spelling Bee. 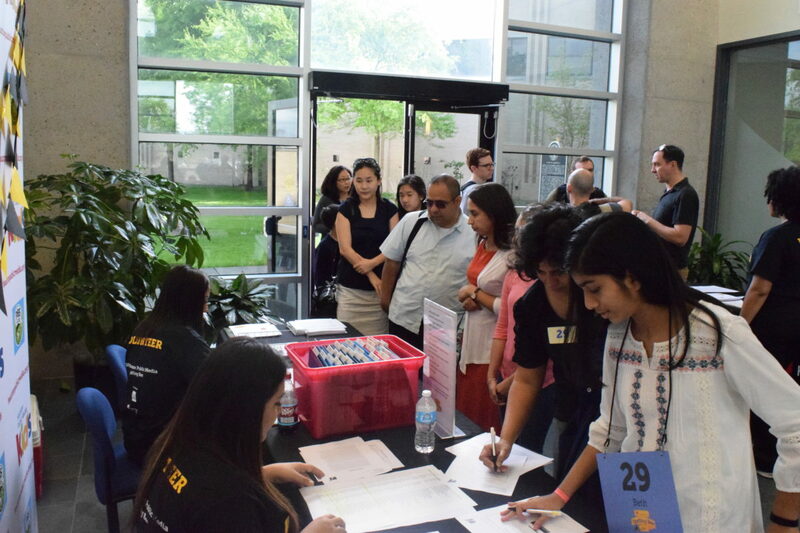 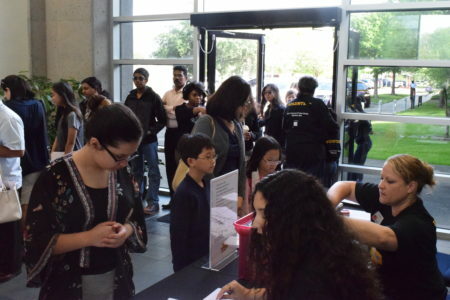 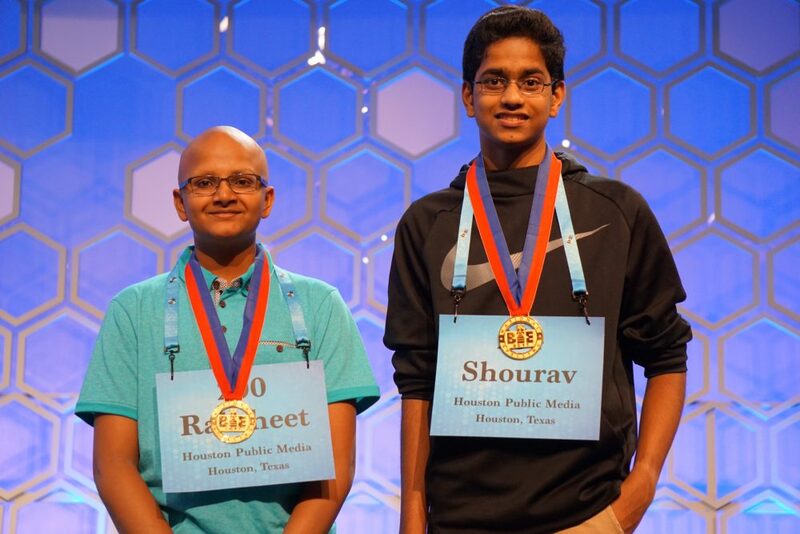 Pranav’s brother, Aditya, was the Houston Public Media Spelling Bee Champion in 2009 and 2010. Influential Teacher: Ms. Schmidt. 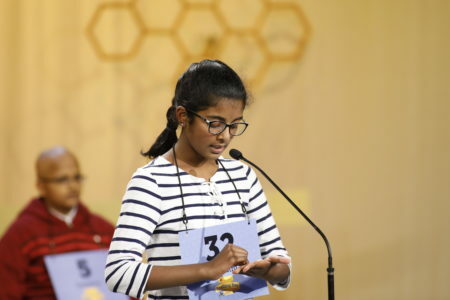 She makes me feel confident about doing spelling. 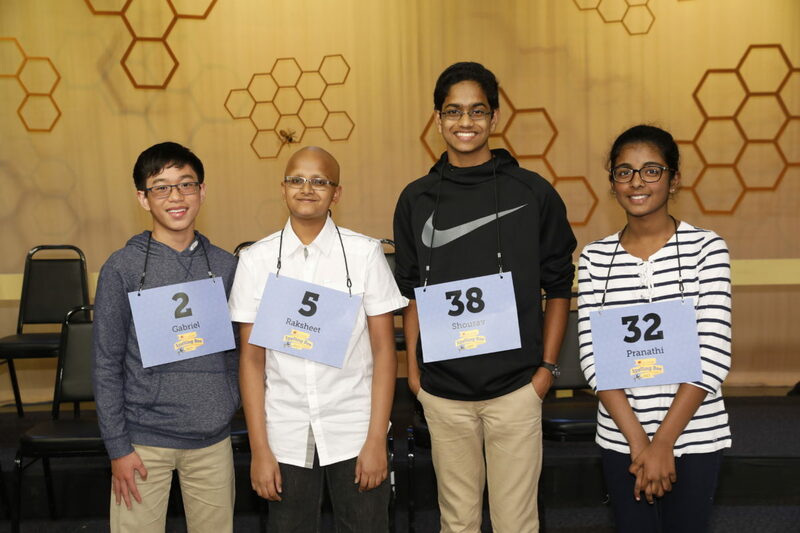 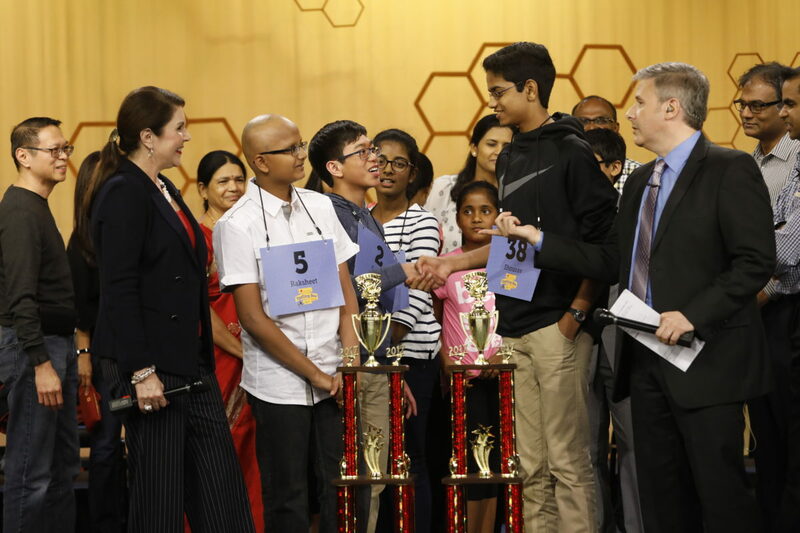 Houston Public Media spellers Shourav Dasari of The Woodlands and Raksheet Kota of Katy placed in the TOP FIVE at the 2017 Scripps National Spelling Bee! 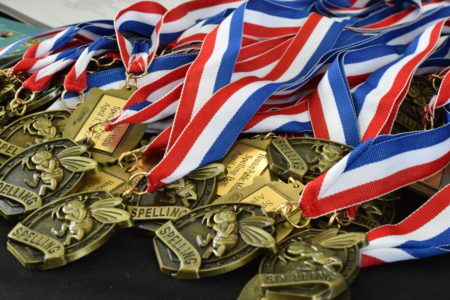 8th grader Shourav Dasari #Speller254 placed fourth, winning a medal and cash prize of $10,000. He was eliminated in round 15 after misspelling the word “Struldbrug” (imaginary persons who can never die). 8th grader Raksheet Kota #Speller200 tied for fifth place, winning a medal and a cash prize of $5,000. 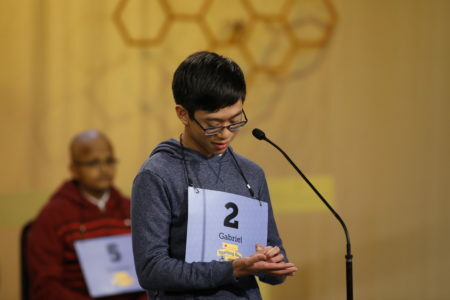 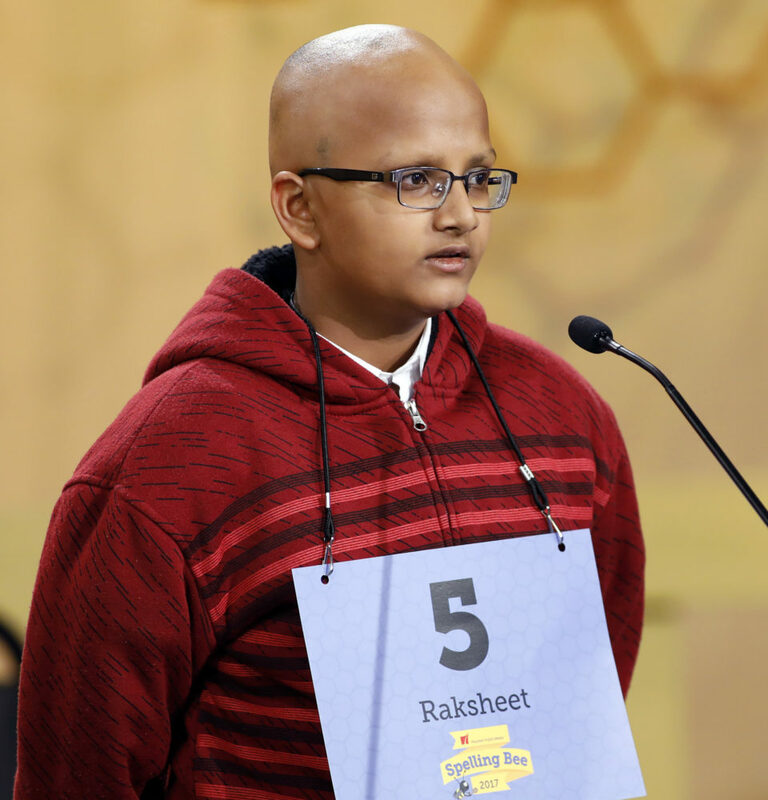 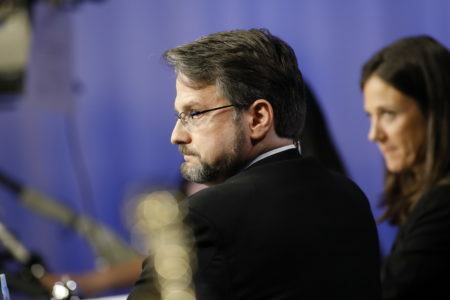 He was eliminated in round 12 after misspelling the word “oedemerid” (a soft-bodied beetle). 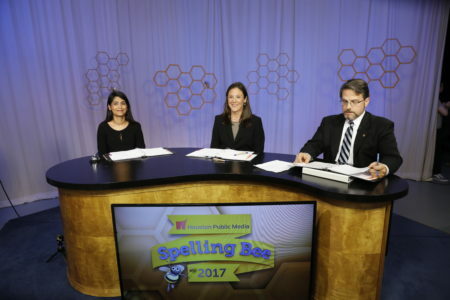 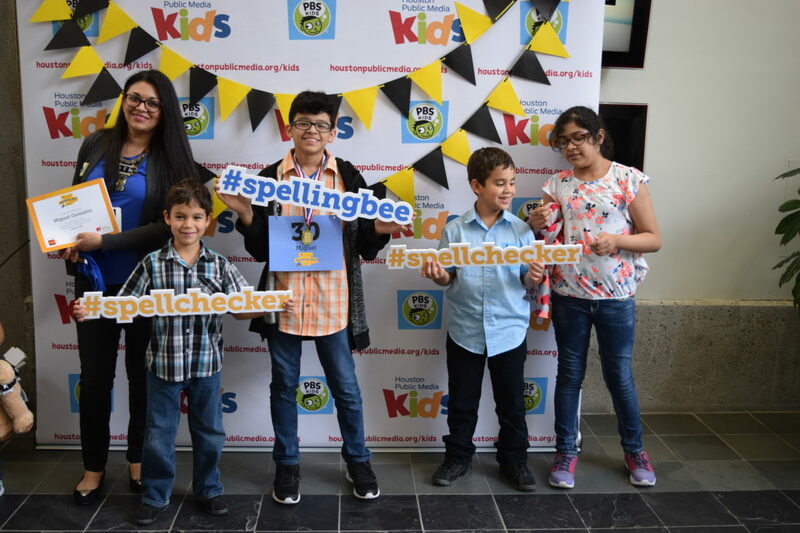 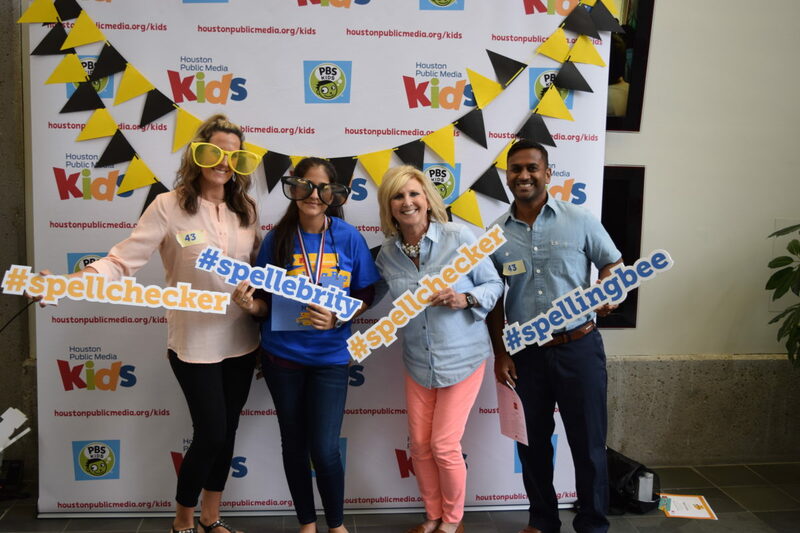 School enrollment for the 2018 Spelling Bee begins end of August 2017.